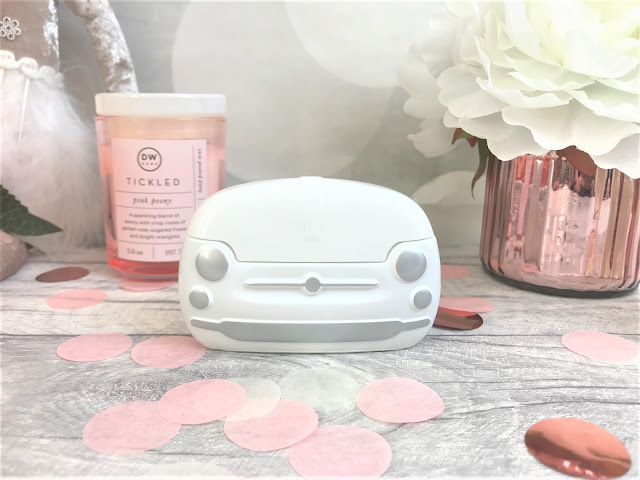 When it comes to the giant world of beauty, I think it is important to have a little fun, and car company Fiat recently brought us their Fiat 500 fragrance which will soon be hitting Debenhams stores. Fiat 500 cars are super cute and every bit iconic in the UK, and so I just found this fragrance a fab new release. If you follow Debenhams Beauty on social media, you may be aware of their Community page, which was created to share your tips on beauty and see what's happening in the beauty community. 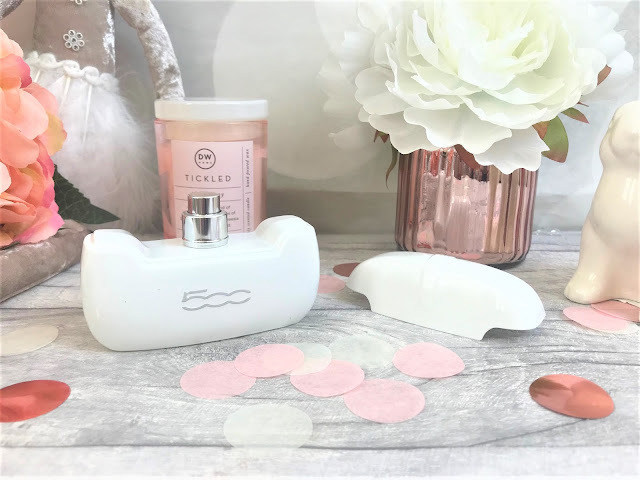 As well as forums and a blog, they also offer you the chance to win new products and experiences and I was recently lucky enough to win one of these Fiat 500 Eau De Toilettes to be able to try out and share my thoughts on for the Debenhams Beauty Community, but I also wanted to be able to share my thoughts on here too. 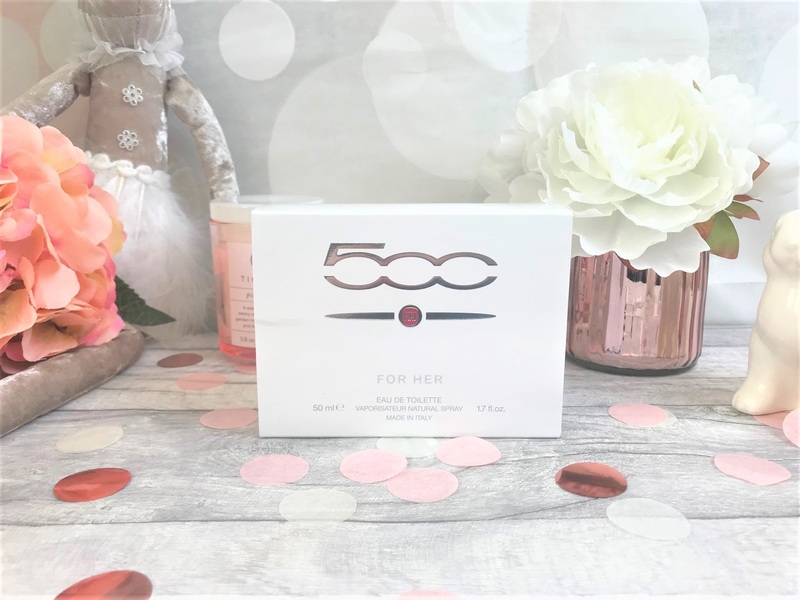 The packaging of this fragrance is adorable, and resembles the front of a white Fiat 500, and makes such an interesting talking point on your dressing table. The fragrance itself is a really fresh, floral scent and contains top notes of Pink Pepper, Mandarin and Lychee, heart notes of White Bouquet of Gardenia, Magnolia and Jasmine, and base notes of Woody and White Musk. when you first spray the fragrance on to the skin, you straight away get those slightly spicy notes of Pink Pepper and then the floral combination hits, which was based upon the Dolce Vita spirit of the Fiat 500. I really enjoy this scent, and I think it is the perfect everyday fragrance for Spring and Summer as it I found that it lasted on me most of the day, which is excellent for an eau de toilette, which often isn't as concentrated and long-wearing as an eau de parfum. There is also a men's version available, which has black packaging but in the same shape, which is mentioned as having a vibrant feel to the fragrance. The Fiat 500 Eau De Toilette will be available in 50ml for £29.00 and 100ml for £39.00 and you will be able to find it in-store and online at Debenhams.